I remember hearing whisperings of this since May last year, when Chloë Sevigny hit the Met Gala red carpet with a custom shade of bright red on her lips. It was made by Tatcha, Style.com reported, but only two were in existence. 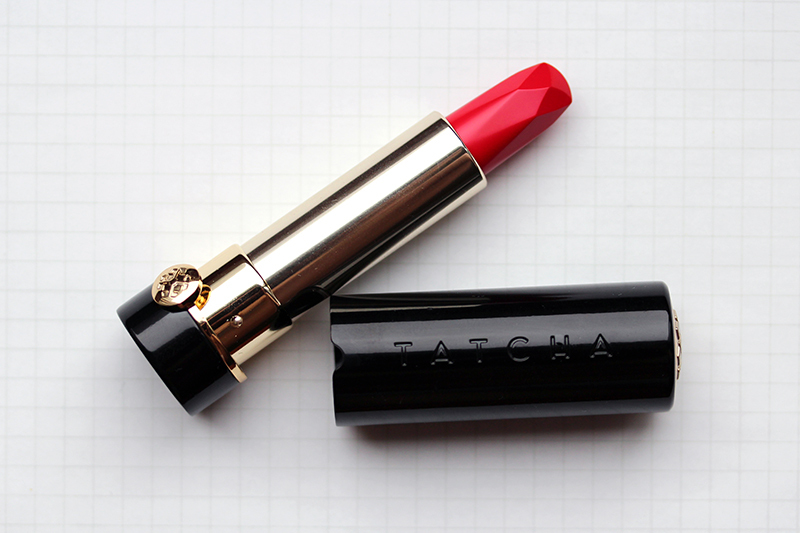 Since then, I've harbored hope that Tatcha would produce more of this brilliant lipstick. With Vicky's tendency toward perfection, I envisioned that the makeup she created would equal or rival those from my favorite Japanese brands. That day came. 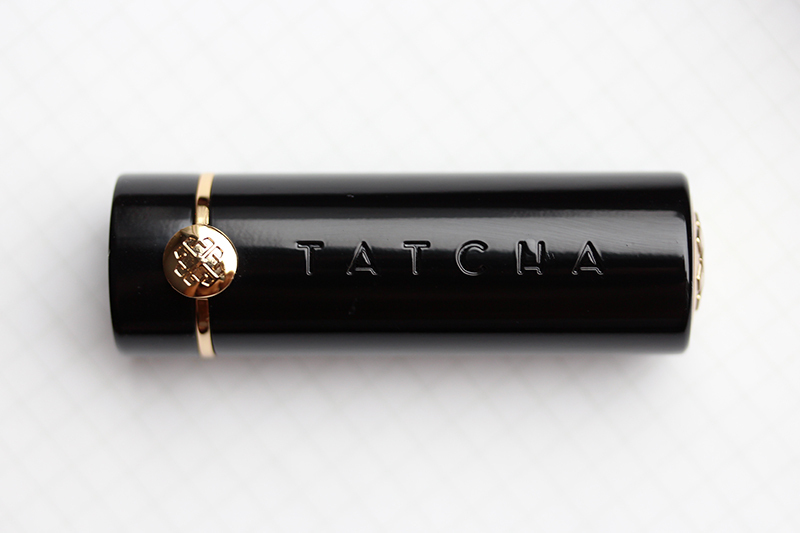 The Tatcha Kyoto Red Silk Lipstick is a piece of art. The black and gold custom tube is hefty and substantial. I love that it opens and closes with a satisfying click, and only if you align the logos correctly. The tip of the bullet calls to mind the facets of a diamond, and after almost a month of wearing it, I can personally attest that it allows for a very precise application. As you know, I have tested many lipsticks in my life. This one makes me, someone who has more reds than any other lip color I own, want to buy back ups for my back up. It's smooth and creamy and moisturizing and incredibly pigmented and lightweight and scentless and just gorgeous. 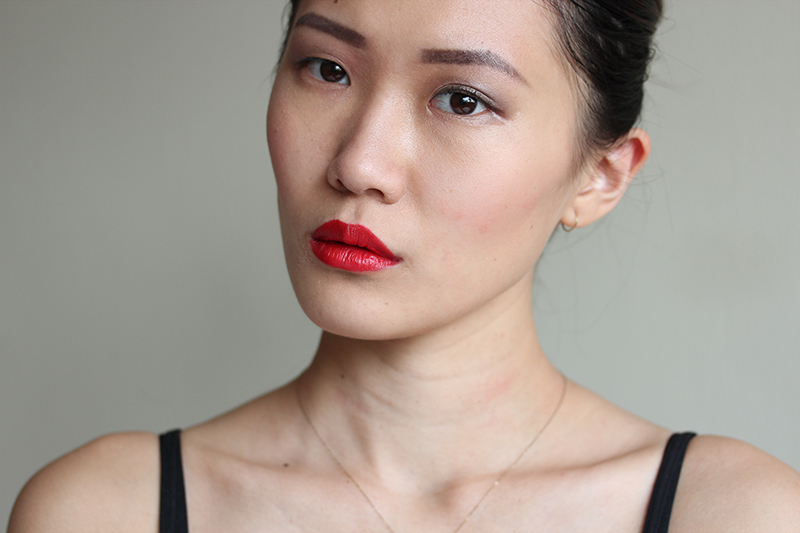 The only other formula I love as much is the Creamy Glow Lipstick from Suqqu, but they erroneously and devastatingly discontinued most of the lineup a couple years ago. 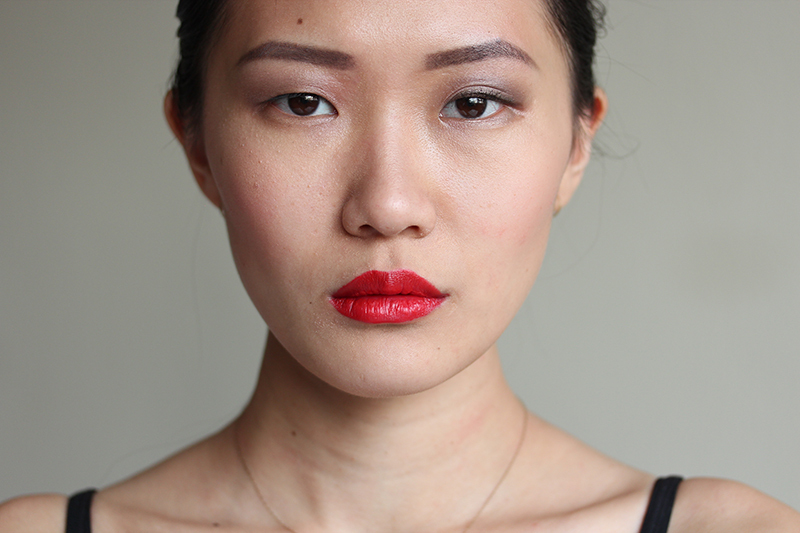 The lipstick is capable of lasting all day, with minimal touch-up required only after meals. My father once told me that people who wear red are more confident because it's such a strong color. While I think my father had his own biased reasons for his belief (his wardrobe consists of red shirts in various shades), I don't think he's altogether wrong. Since most of my clothes are in monochromatic hues of black, blue, and gray, I like that through a little thing like lipstick, I am able to inject bright and dazzling color, maybe also a little strength, in my life.